For a long time, I had a very limited spice and dried herbs selection in my kitchen. Ok, ok, I had a non-existent spice and herbs selection in my kitchen:) I just didn’t see the point of going out and buying all these individual bottles when I could just go buy taco mix or BBQ seasoning and be done with it. Many years and countless meals made later, I have realized the need for a well stocked spice rack. Spices and dried herbs, both mixed with other spices and on their own, add amazing flavor and depth to so many dishes and can take a good meal to an amazing one. Dried herbs and spices are a staple in every kitchen and if purchased a few at a time (many keep for at least a year and a little goes a long way!) are not such a bad hit to the wallet. Over time, I have developed quite a selection of herbs and spices. This came in handy one night when I wanted to make a dish that called for taco seasoning and found my shelves lacking a packet. Feeling lazy and really wanting to get dinner on the table without a store run, I poked around cookbooks and online and discovered you can make your own taco seasoning with spices many folks (me included!) have at home! I was amazed! I grabbed the ingredients, measured and mixed them together and ta-da! Taco seasoning! And the best part was I had made enough to use for many meals, which when you buy the packaged mix, it is only designed for one meal. Today I want to share three of my favorite mixes with you, Taco Seasoning, Italian Seasoning and Jimmy’s Dry BBQ rub. These can be used in so many ways and if you have a decently stocked spice drawer you likely have all the things you need on hand. You can also customize these to increase, decrease or even omit a herb or spice you or your people do not care for to give you the perfect flavor for what you like! Saving money and controlling how the final flavor comes out? This sounds like a winner to me! 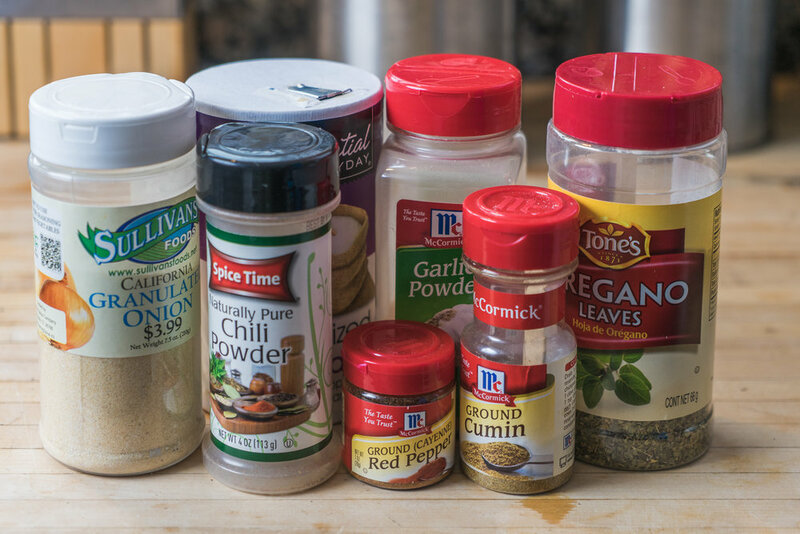 I use about 2 tablespoons of this mix for my ideal seasoning but use more or less to your taste and how taco-y you like your meals! Mix all spices into a airtight plastic container or zip-top bag and combine well until all spices are well blended. I use about 1 tablespoons of this mix added to 1/2 cup or so oil (olive or vegetable) to make an awesome Italian dressing that can be tossed on a salad or over meat for a great marinade. Rub desired amount of mix on any meats ready for the grill. 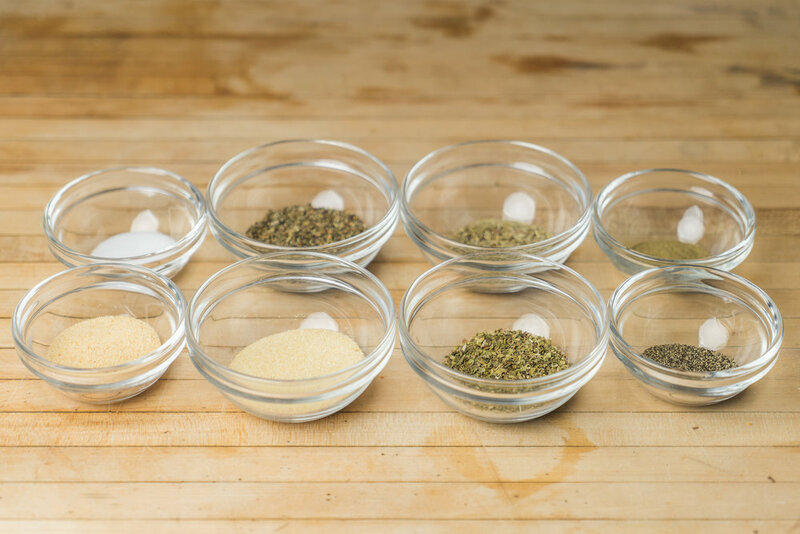 Go ahead and customize the amount of seasoning mix to what you and your people like. The beauty of this is YOU decide how spicy or not spicy it is and if it needs a little more, go ahead and do it! If it needs less, you can add a little more oil to the italian seasoning to soften the flavor and a bit of water to the taco seasoning to lessen it’s flavor.